A Martial Arts School Above the Rest! Celebrating Forty-Five Years of Excellence! 5/25 – 27 Memorial Weekend Schedule ||| 6/7 Promotion Test ||| 6/8 Black Belt Test ||| See Calendar for More! 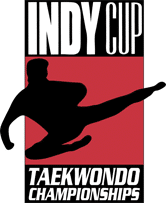 Korea Taekwondo Academy (KTA) is the Midwest’s premier martial arts school. Under the direction of Grandmaster Chul Koo Yoon, Master Cooley teaches and oversees each student’s training along with a team of internationally certified Black Belts. With multiple locations in Indianapolis, it’s easy to make Taekwondo with KTA part of your lifestyle. Watch Master Cooley perform an advanced power break!